There’s warm weather outside. Perfect for getting out and starting on those home improvement plans! Renovations, extensions, updating your living space or looking improve your home living space; we can and want to help. How many times have you seen a TV above a fire in Pintrest and Google Images? Have you ever wanted someone to do the whole job for you? Look no further. At Esher Fireplaces, Surrey we’re here to help. If you want to see what it’ll all look like; we can provide a CAD design (And even put YOUR TV sizes in the design). If you need someone to install and safely sign off your fire through the correct channels; we can provide that assurance. 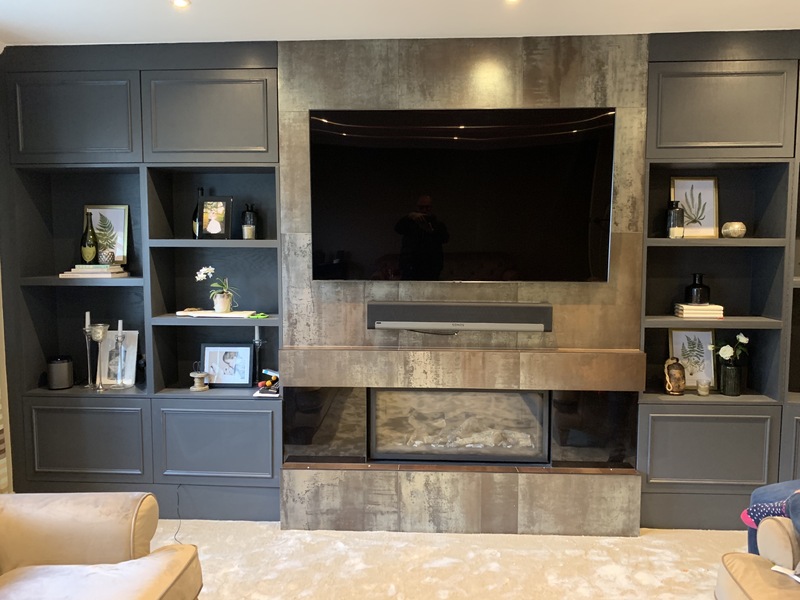 Gas Fires, Woodburning Stoves or Electric, we can provide you with the vision, products to fulfil your needs, professionals with expertise to do the job and most of all the full project management! Want to find out more, let’s chat. Contact Us today!